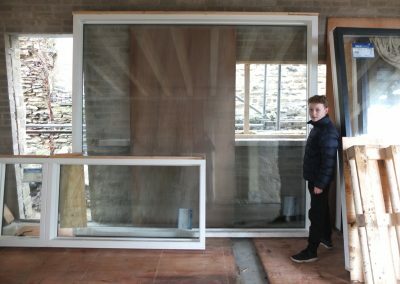 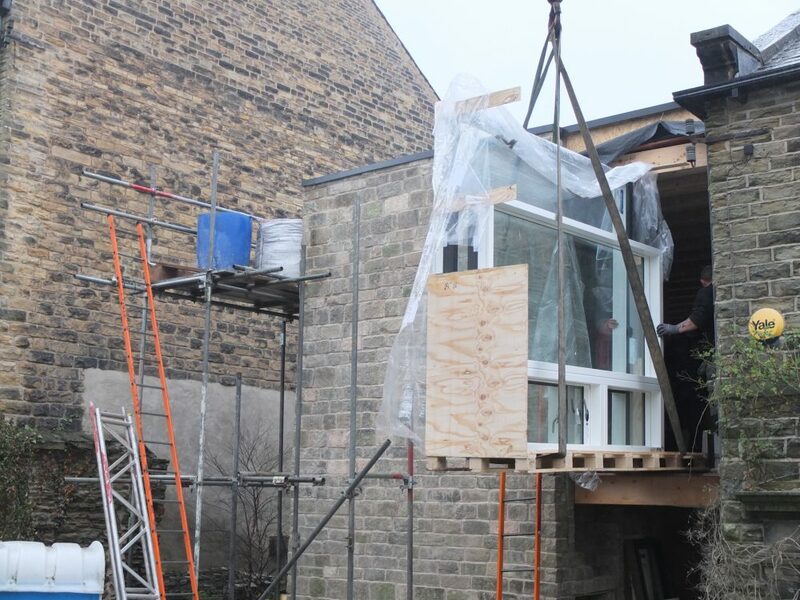 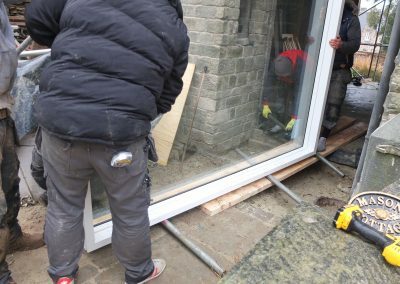 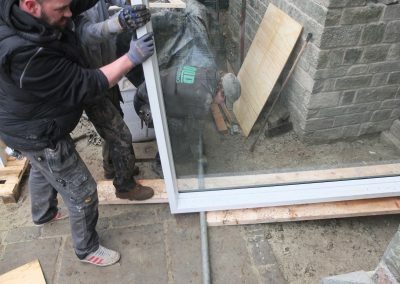 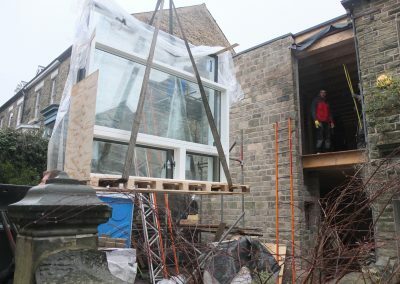 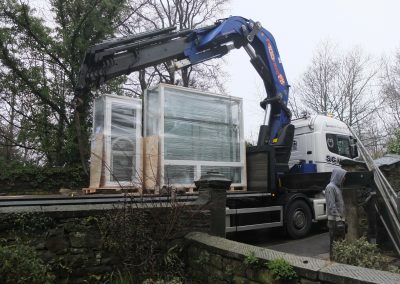 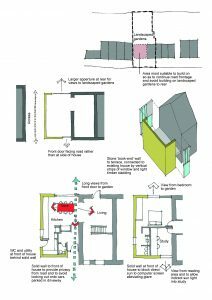 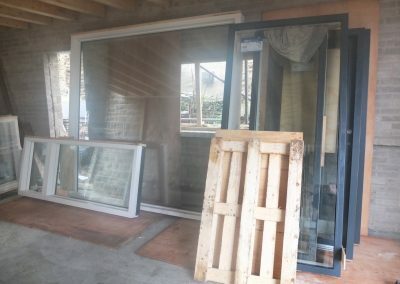 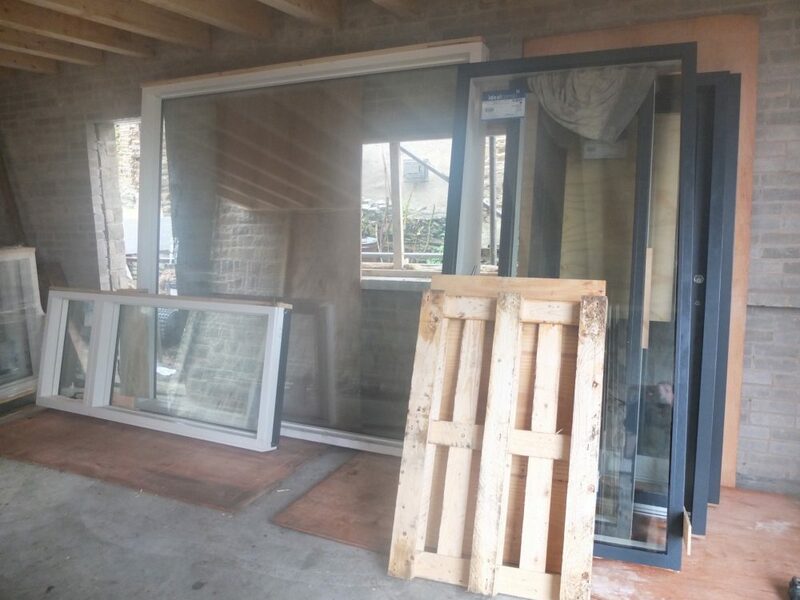 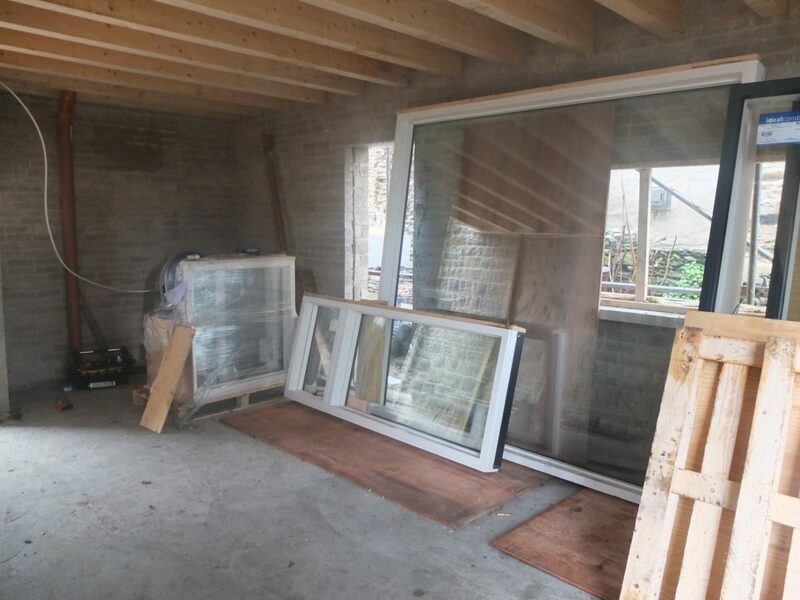 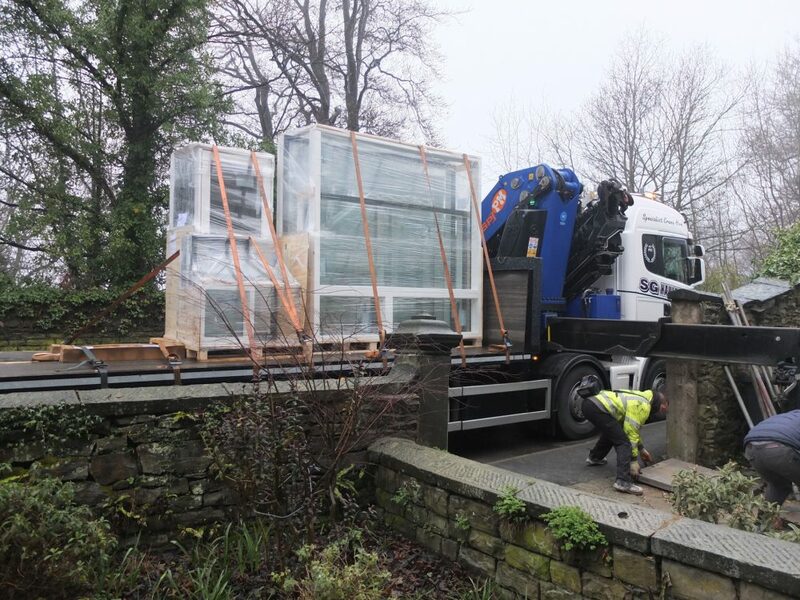 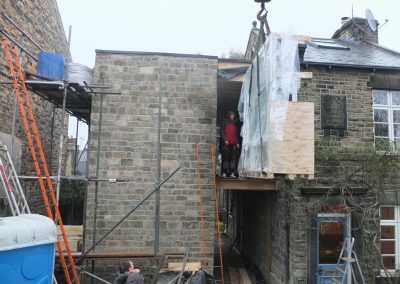 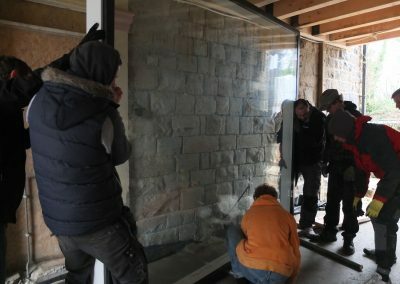 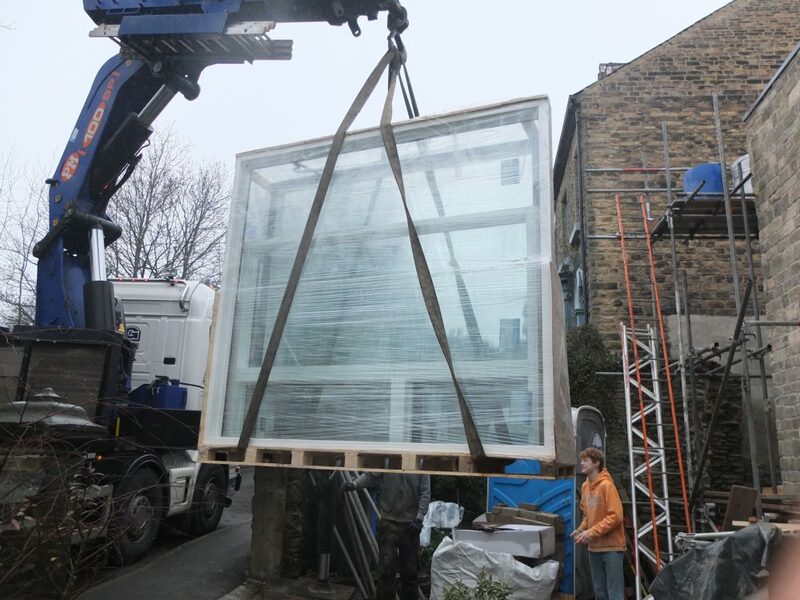 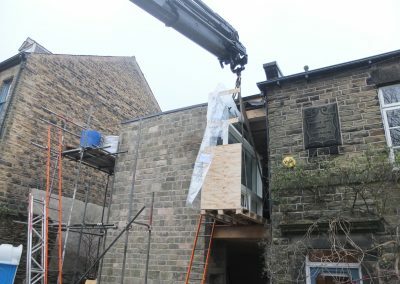 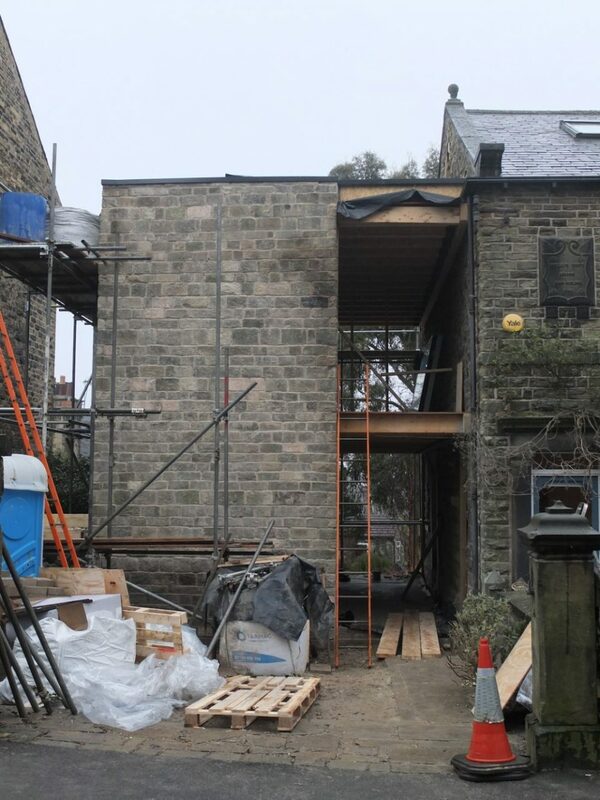 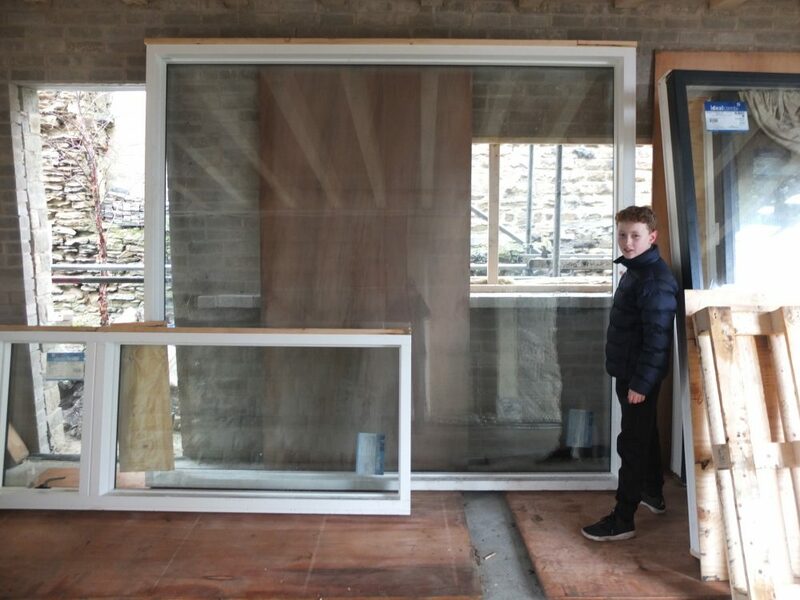 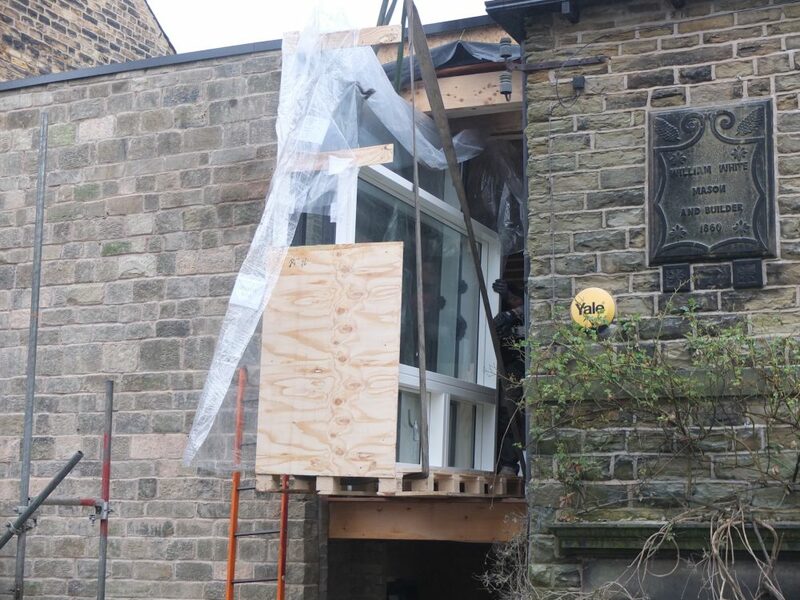 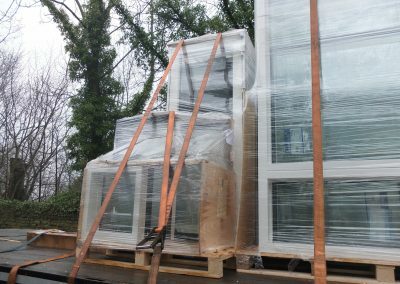 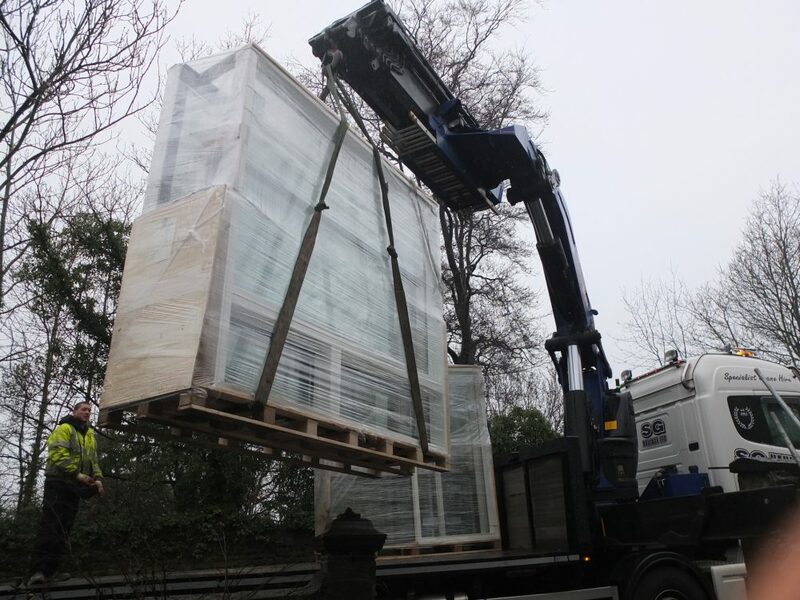 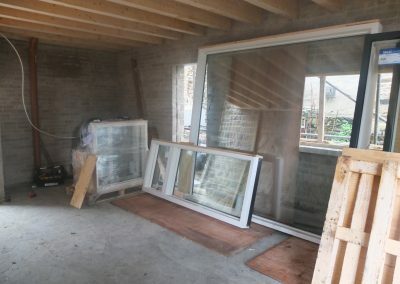 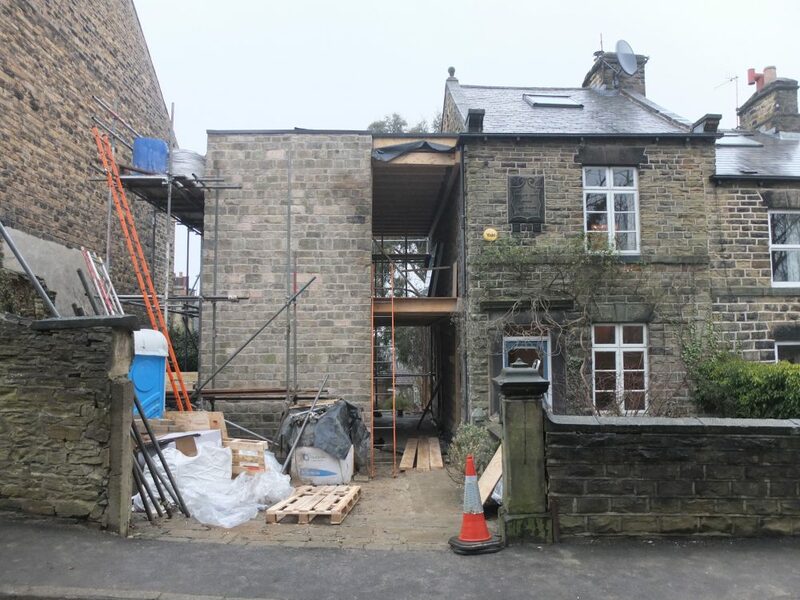 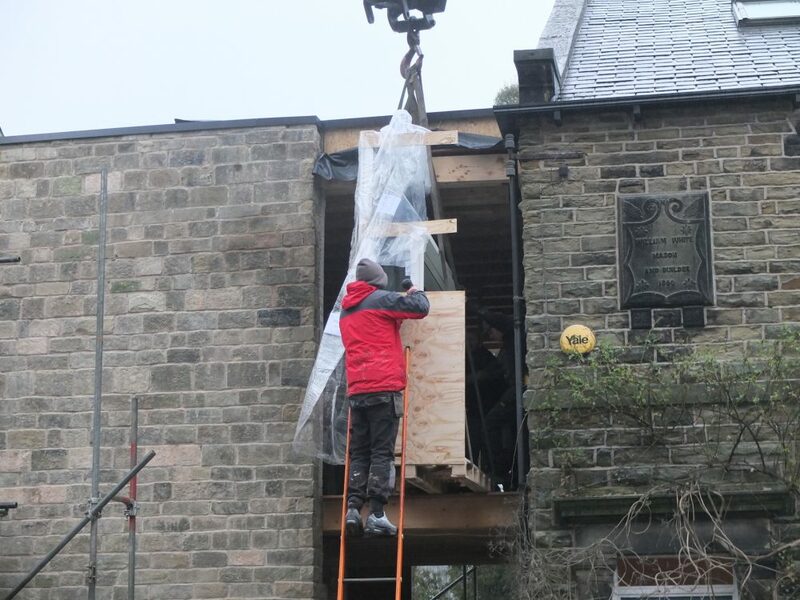 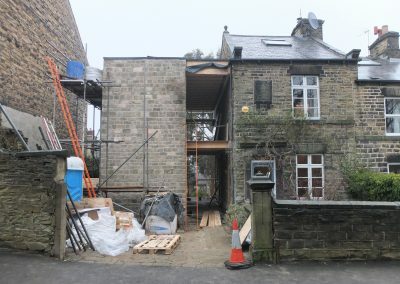 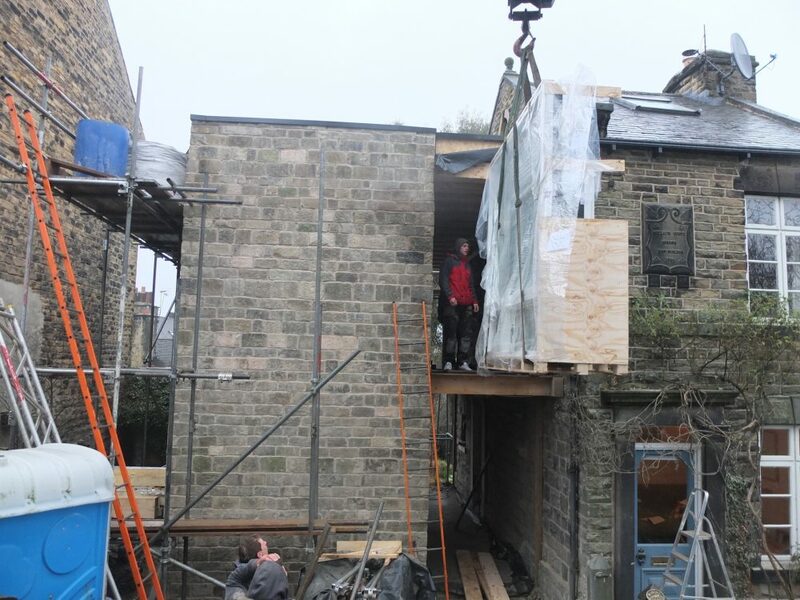 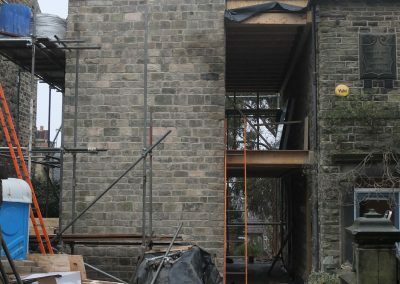 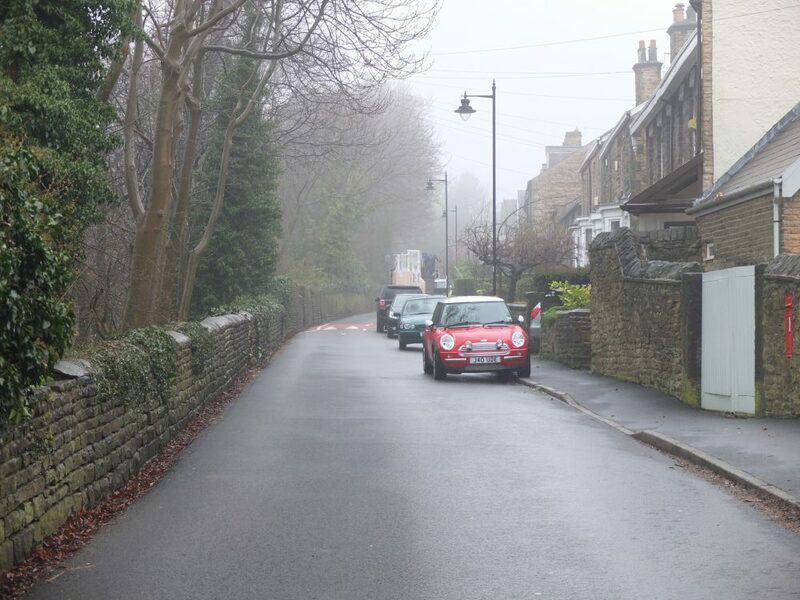 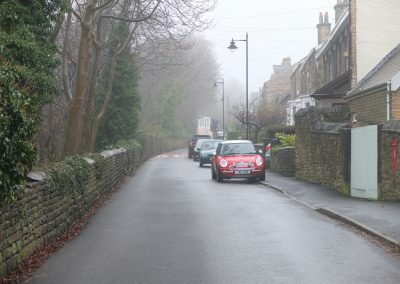 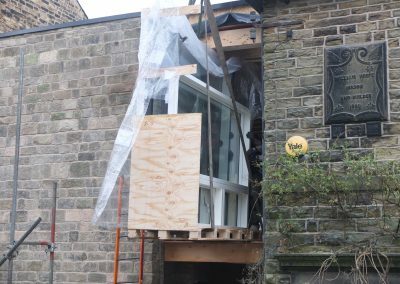 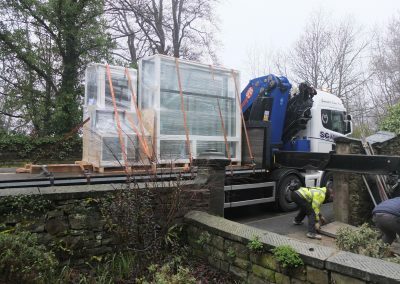 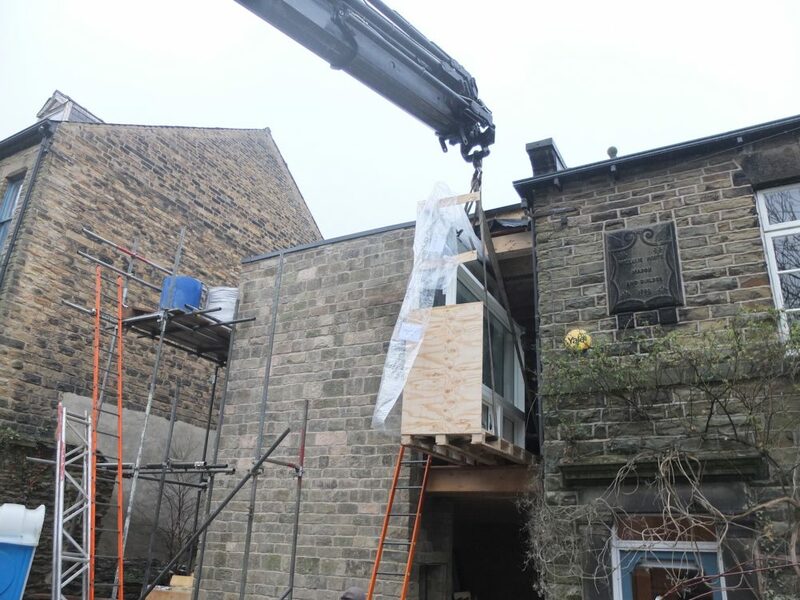 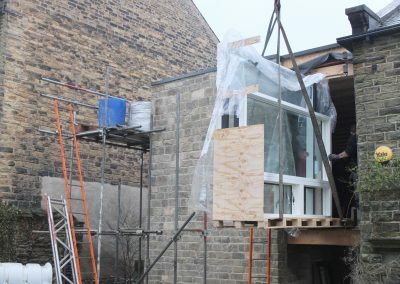 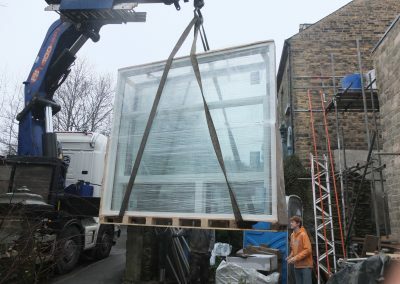 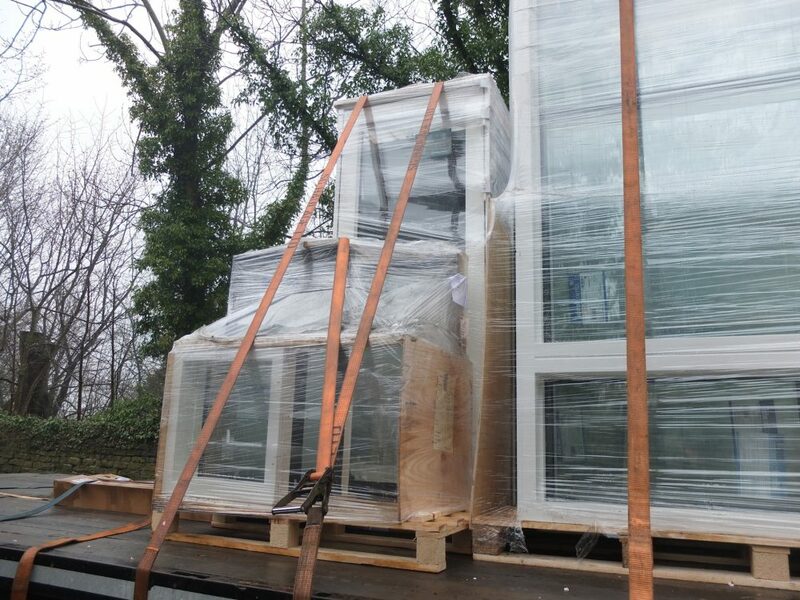 A big day today – the windows arrive from Denmark – all £16k. 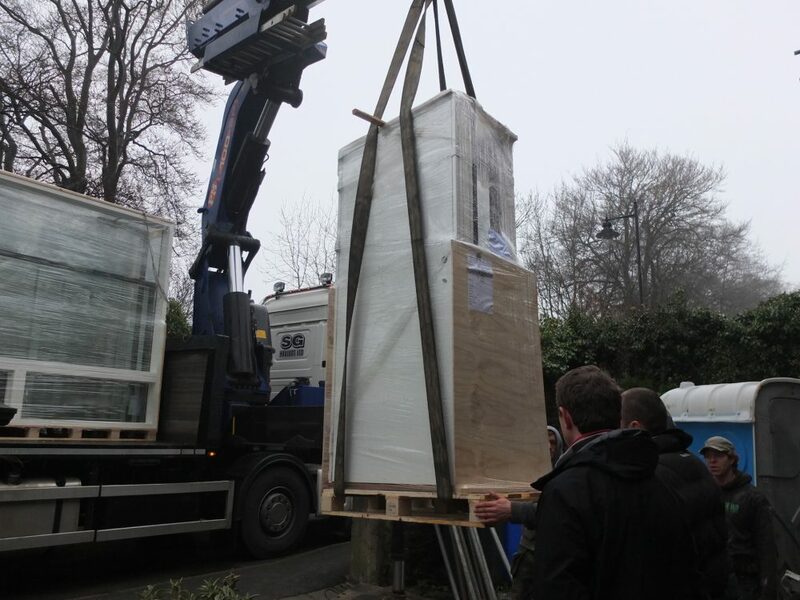 We were concerned with lifting them to first-floor level as 4 of them were 225kg. 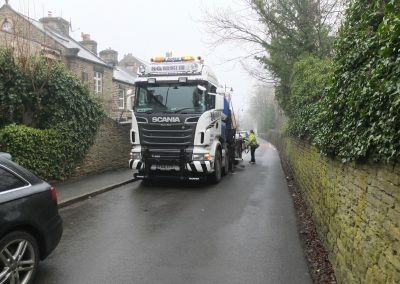 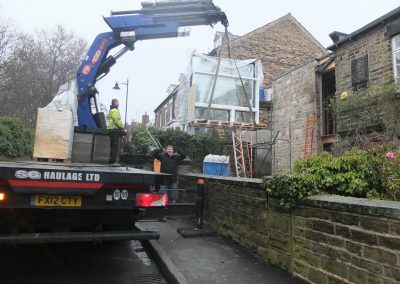 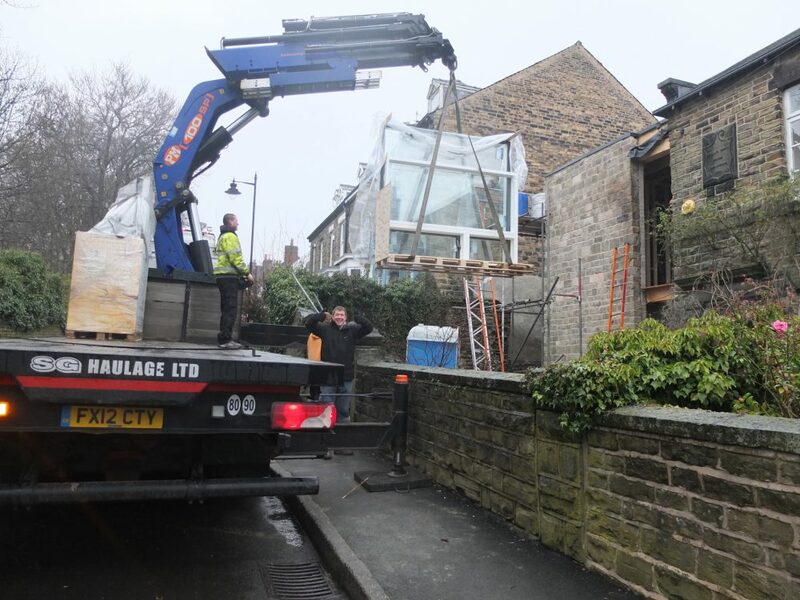 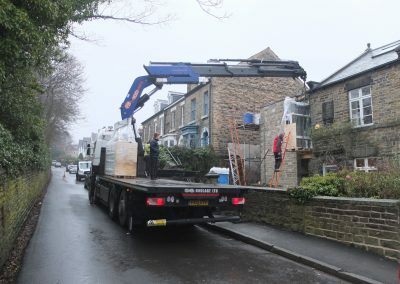 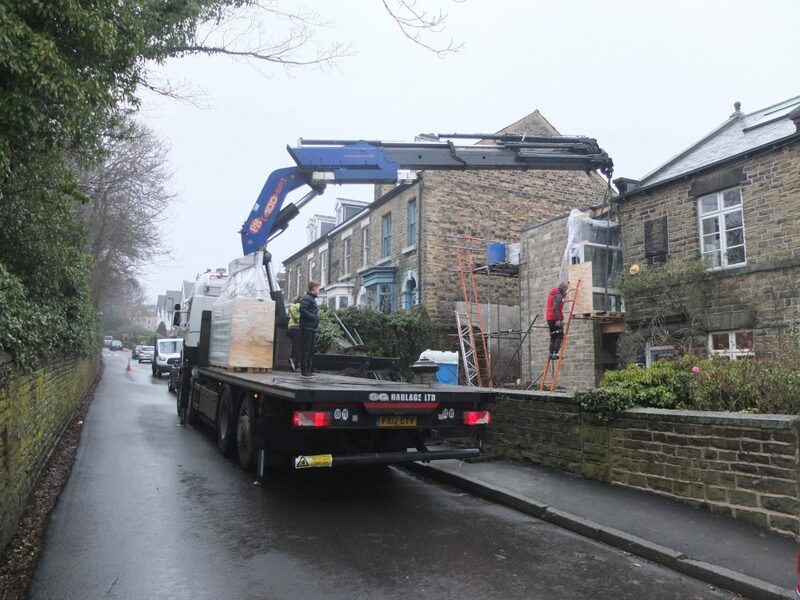 Fortunately, the lorry came with a big crane and the windows were hoisted into position then slid off. 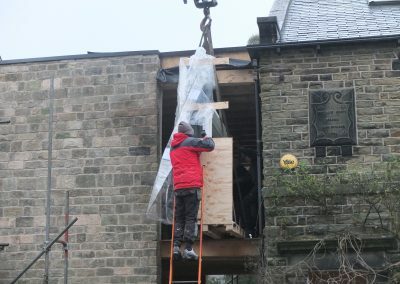 Very relieved.